A Sport Driven Design for Everyday Use. -Day, Date, Month and Week in Year. -Stopwatch. Start/Stop Button on Right Side of Digital Display; Reset Button on Left. 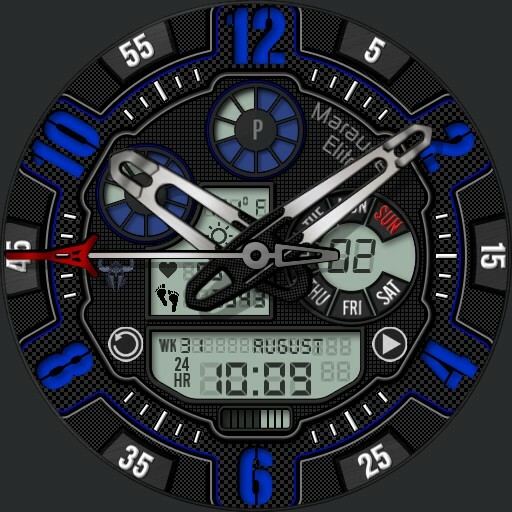 -Watch Battery. Top Digital Dial. -Phone Battery. Left Digital Dial. -Hide Hands for Digital Panel Visibility. Open Settings Menu to Toggle Hands On or Off.